Our move into a new building with all services under one roof will allow CAM to better meet the needs in the community. The rich, twenty-eight year history of our ministry is testimony to the willingness of the community to help their neighbors in crisis, and to continue to do so as we move into the future. 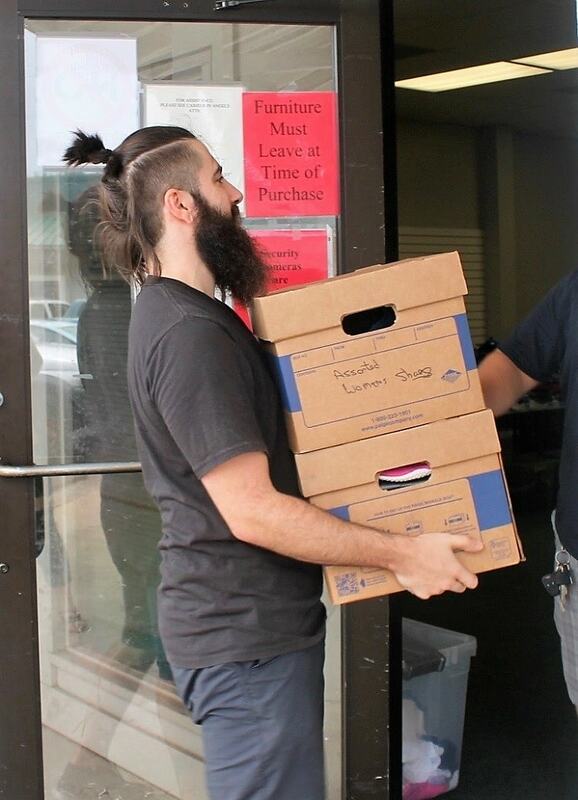 Our mission is clear: Helping those in need move into self-sufficiency. CAM serves an area encompassing four zip codes, and within this area are over 16,000 individuals living below the poverty level. More than 6,000 of these people are children. Hard times can come about because of an unexpected job loss, an illness, divorce, or from a multitude of other reasons, and that’s when CAM steps in. CAM partners with local churches, individuals, businesses, and organizations to provide effective and efficient care for the people in our community while avoiding the duplication of services. We continually evaluate the needs of the people and pull together to offer the programs that best serve those who most need our help. 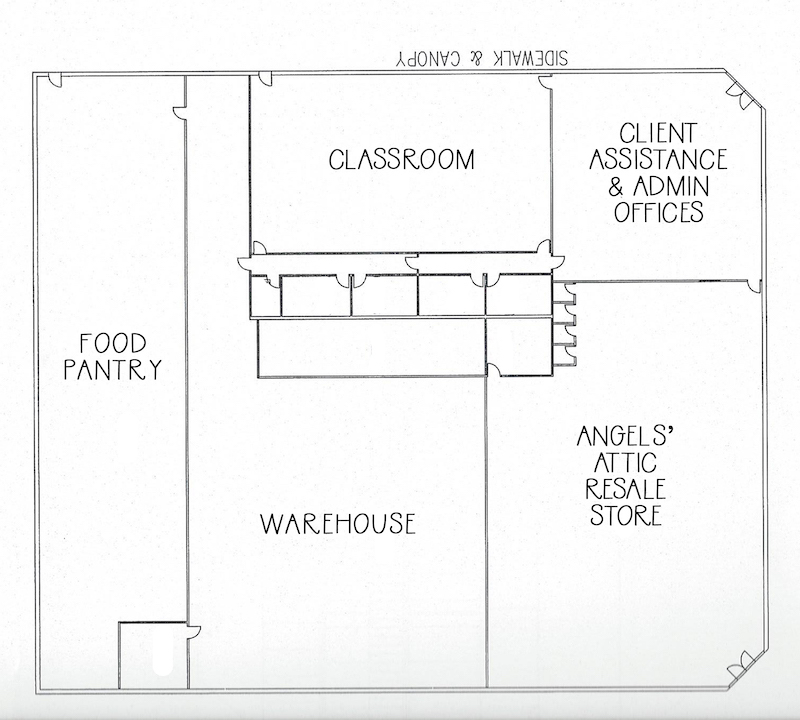 We have embarked on a capital campaign, raising funds to build a facility where all services can be under one roof. With additional space, programs can be added or expanded, and clients can easily receive the services they need. To create a foundation for current and future programs of assistance. ‍It is clear we offer services many are in need of. How will we expand our programs? How can we better serve existing clients? What will be the legacy of CAM in the future? To continue to provide financial and food assistance, job services, adult education such as ESL and GED classes, and importantly, to implement new programs as needed. Ongoing space needs beyond the programs currently being offered continue to impact our growth potential. If we fail to help in the most effective manner, we fail to help assure the future of our neighbors. To offer more gently-used goods at greatly reduced prices, enabling individuals to meet their financial obligations and which in turn, funds the administrative expenses of CAM and would allow for expanded programs. The new building will provide space for a larger and better organized resale store, resulting in increased sales, providing more available funds to expand programs. As a faith-based organization, it is our obligation to embrace our responsibility to help those who need it to the best of our ability. We must have vision, ongoing evaluation of our programs, and the space to add new programs for our continued success. We are not just implementing a building campaign; we are creating a legacy for our community that will continue to impact individuals and families in life-changing ways as we move with vitality and hope into the future – with the freedom to grow! Your involvement is critical. Our goal is to raise $2.5 million through donations from individuals, congregations and businesses, in addition to soliciting grant monies from foundations. Throughout it all, we will keep our promise that was made in this community twenty-eight years ago. Individuals and families in financial crisis, those on the brink of homelessness, the elderly, the unemployed and anyone that needs hope for a better future is welcome at CAM. ‍For more information please contact Janet R. at janetr@cypressassistance.org or call 281-815-0162.